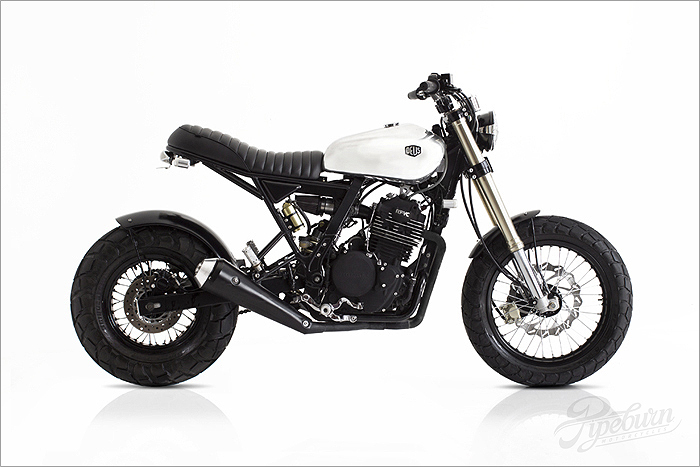 “Not too long ago we were approached by someone looking into customizing their bike. 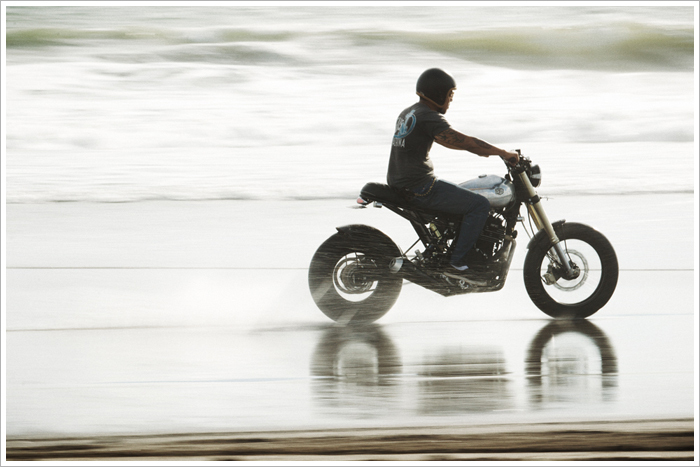 He talked it over with the Bengkel crew and then returned a week later with a NX650 on the back of a truck. Unbeknownst to us the bike was a little worse for wear and quite a lot of its more vital moving parts were seized up. It was made clear that this build was going to take a smidge longer to finish than originally estimated, and we hauled the thing into the bengkel. 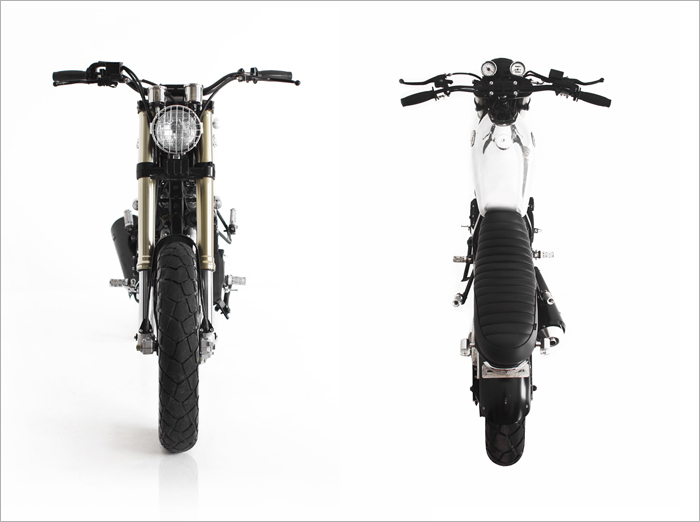 The client’s reference for the junker’s transformation was that of “The Mono“… A bike built by our Australian counterparts a few years back. The NX was stripped bare, had its SOHC engine removed and sent for some TLC, then the boys got to chopping the frame to accommodate the needs for its overhaul. Almost everything from the original enduo-esqe commuter bike was binned, replaced with aftermarket and custom parts (when I say ‘Almost’ everything I mean everything except the engine and swingarm which was extended by 5cm). 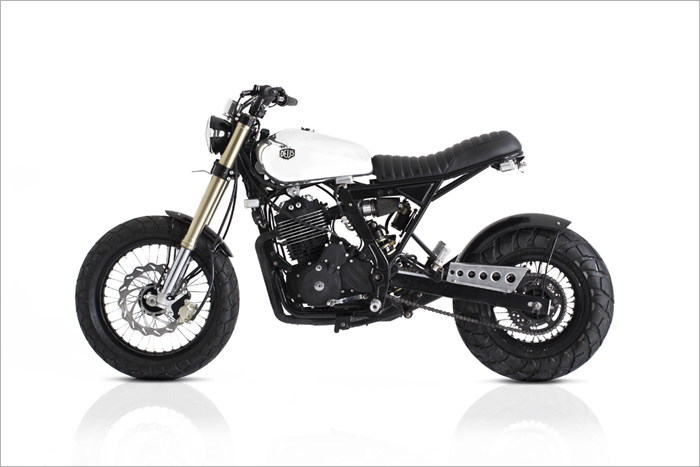 During its time spent in the power-tool laden cocoon that is the Bengkel, the bike progressively showed signs of what it would soon be, and before you knew it, the bike was done and pleading for someone to show it some tarmac or backcountry terrain. The build list for what has been dubbed the “Dominari’ is varied and extensive, but looking at the final product, everything came together as balanced & clean as we could hope for. 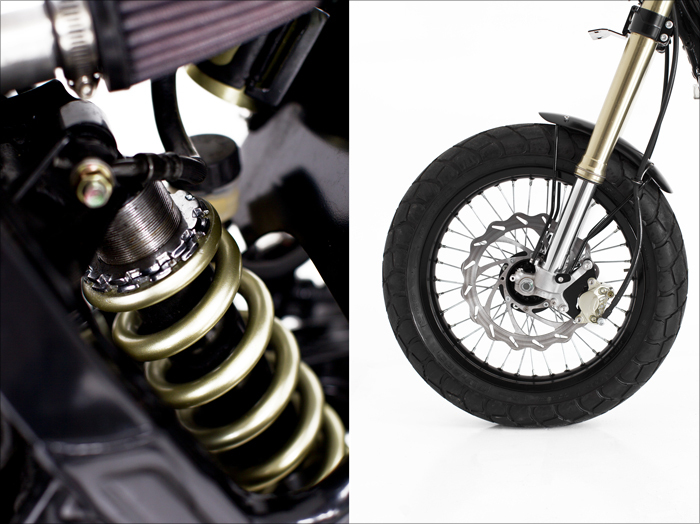 The reworked torquey Honda is set up to handle the varying road conditions of Bali, using the combination of its DRZ250 front shocks and Ohlin mono suspension working together with a set of Bridgestone TW tires…a beefy 14inch 180 in the rear and an 18 inch 130 up front. A Custom made 2 into 1 manifold leads exhaust gases to the hand-built reverse cone silencer with an alloy tip, which transforms the sound of the 43HP motor perfectly. 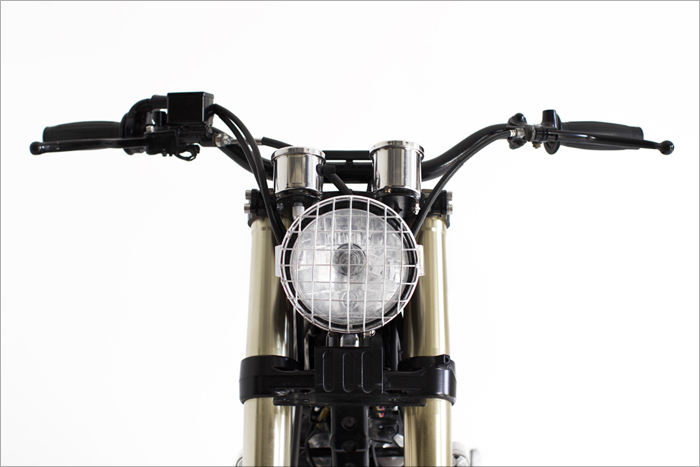 Another alloy piece is that of the fuel tank, large enough for lengthy blasts, the tank also sports a set of Deus badges. For when its needed, stopping power comes from a pair of custom ‘wave’ disk breaks outfitted with Nissin calipers which will bring you to a halut in a safe yet face removing timeframe. 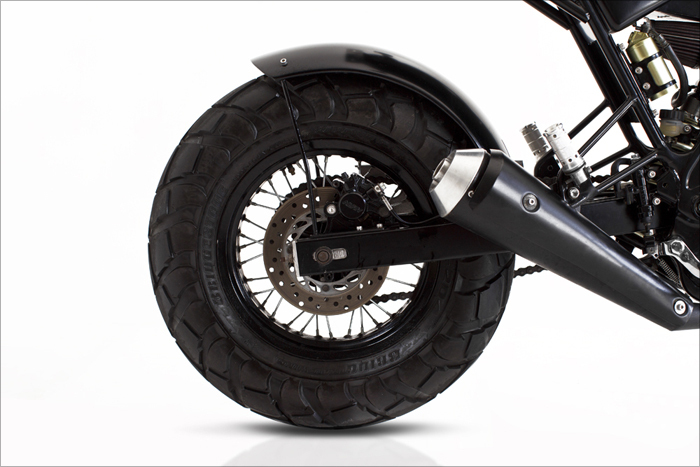 The fenders were custom made, as were the foot-pegs, brake light, bubble seat and hand controls. The black HD light upfront is protected by a chrome grill for when gravely back roads are concerned and the whole thing is steered by a set of FatBar handlebars which play host to a Daytona tacho and Posh Speedo”. The Dominari has been designed to look good while it takes on whatever Bali can throw at it. And from our experience in Bali, that could be anything. From mountains to beaches, wild pigs to wild parties, this Dominator is the perfect island assault vehicle. To see this weapon in action, check out the video below. 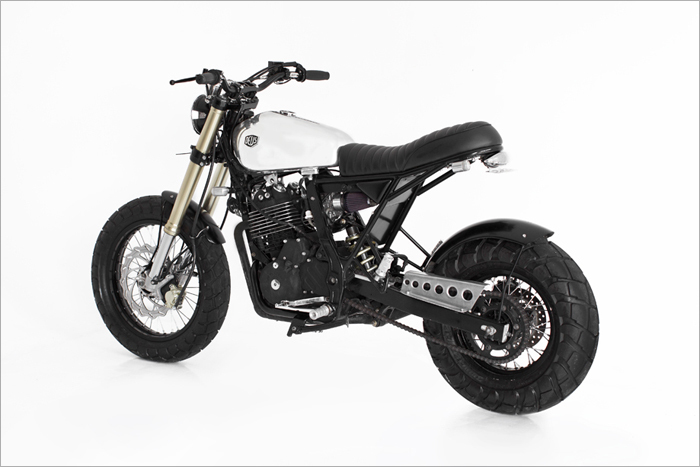 We think it’s probably the best bike the Benkel boys have built to date. But who cares what we think, what do you think?